This is a fantastic way to offer your gift for your Special person. 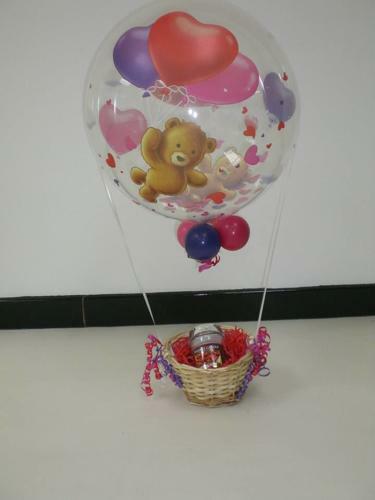 This bubble has been discontinued but can be done with any of our bubble balloons for any occasion including Valentine, Mother's Day, Easter and Baby Showers. They're also great for having at your wedding to receive cards instead of a post box. Candle not included, for display only.